There’s a wealth of security options when communicating with Elasticsearch including basic authentication, TLS, PKI, LDAP, AD, and other custom realms. To enable Elasticsearch security, see Securing the Elastic Stack. 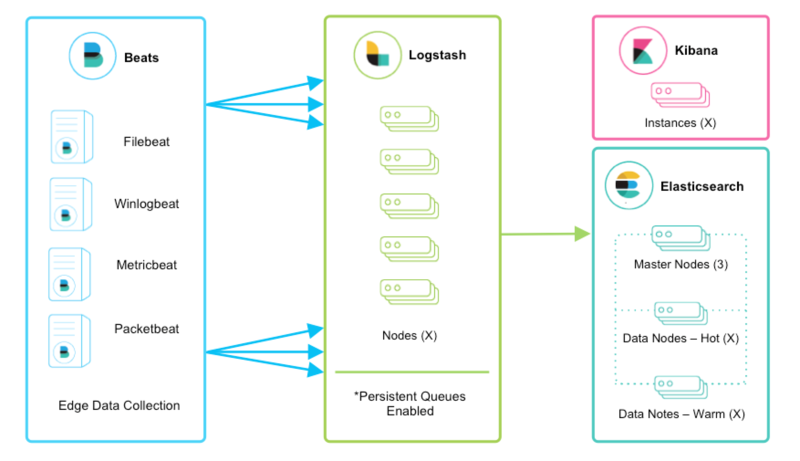 When running Logstash 5.2 or greater, the Monitoring UI provides deep visibility into your deployment metrics, helping observe performance and alleviate bottlenecks as you scale. Monitoring is an X-Pack feature under the Basic License and is therefore free to use. To get started, see Monitoring Logstash. IoT devices like Raspberry Pis, smartphones, and connected vehicles often send telemetry data through one of these protocols.